Mushrooms (also called toadstools or puffballs) are the fruiting body of a fungus. They appear when the conditions are right for the fungus to reproduce and spread spores. This usually happens after heavy rains or watering. Most of the fungi that produce mushrooms are growing on decaying organic matter in the soil. Mushrooms are often the result of lumber left by builders, rotting railway ties or timber, decaying stumps or roots. They can also be the result of the decay of the lawn's thatch or manure or other organic matter in the soil. Mushrooms are not harmful in any way to the lawn. They can however be unsightly and spoil the appearance of a lawn. Some may be poisonous and some may be foul-smelling. If possible, dig up and remove the decaying stump, roots, or lumber to remove the source. If this if not possible, simply remove the mushrooms by hand (or foot), rake or use the lawn mower. Mushrooms will continue to appear until the organic matter is completely decayed. This may take several years. Fairy Ring. In lawns, if the mushrooms are growing in a circular pattern, it may be due to a fungus called fairy ring. Fairy rings are caused by certain fungi, not all of which may produce mushrooms. In some cases, the soil in the ring becomes so matted by the fungus mycellium(so-called roots of a fungus) that water cannot move through it. 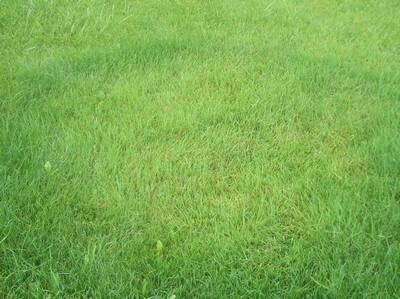 As a result, the grass in the ring grows poorly, and may die from lack of water. The best solution to this problem is to aerate the soil in the ring, then water deeply. This should improve lawn root growth and eliminate, or at least reduce, the effects of a fairy ring fungus. Often the ring of dead grass will move outwards as the fairy ring fungus moves through the soil. Sometimes, there will be a ring of greener grass where the fungus has released nutrients that are now available for the turf.